The upcoming HBO Films presentation The Wizard of Lies has gotten a release date from the cable network. 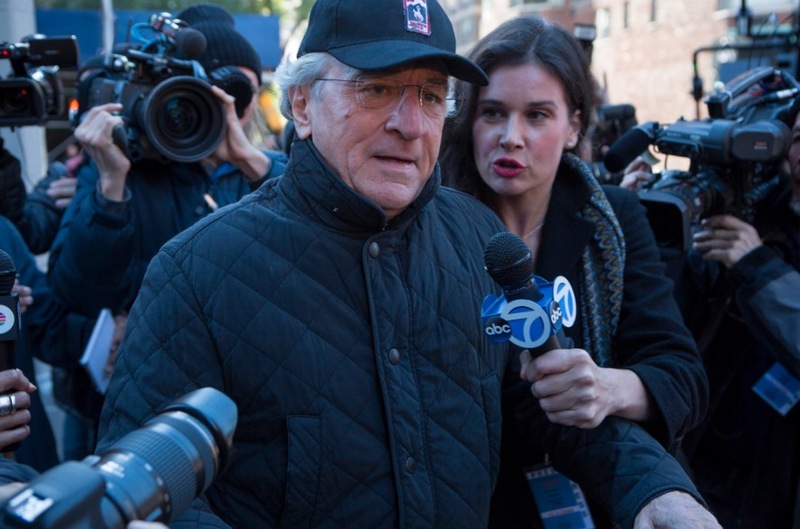 The film tells the story of investment advisor and financier Bernie Madoff‘s Ponzi scheme. The Wizard of Lies stars Academy Award winner Robert De Niro (The Godfather II) and Academy Award nominee Michelle Pfeiffer (The Fabulous Baker Boys) as Bernie and Ruth Madoff. De Niro also serves as an executive producer. The project is based on the book “The Wizard of Lies: Bernie Madoff and the Death of Trust” by Diana B. Henriques, with “Truth and Consequences” by Laurie Sandell as an additional resource. The release date has been announced as Saturday, May 20, 2017. The Wizard of Lies also stars Alessandro Nivola (American Hustle) as Mark Madoff, Bernie and Ruth’s eldest son, Nathan Darrow (House of Cards) as Andrew Madoff, their youngest son, both of whom worked in Madoff’s investment firm, Kristen Connolly (The Cabin in the Woods) as Mark’s wife Stephanie Madoff, Lily Rabe (American Horror Story) as Catherine Hooper, Andrew’s fiancée and Hank Azaria (The Simpsons) as Frank Dipascali, Bernie’s right-hand man in the Ponzi scheme. It’s directed by Academy Award winner Barry Levinson (Rain Man), who is also an executive producer, from a script by Sam Levinson, John Burnham Schwartz and Samuel Baum. Author Henriques, who was the first writer to visit Madoff in prison will play herself. Are you guys interested in the HBO film? Let us know in the comments or tweet us @ComingSoonnet.